If you’re running low on money or see a better interest rate deal advertised, refinancing a car loan can seem appealing at times. While sometimes you will get a better deal from a different company, it is essential to take a close look to make sure you will benefit from refinancing. Refinancing has both pros and cons depending on your situation. Making educated decisions about your finances will keep you on the right track to financial health and wellbeing. You could lower your interest rate: One of the best reasons to refinance a car loan is if you have an opportunity to reduce your interest rate. If you previously had no credit or bad credit, it is worth checking into refinancing your car loan after a couple of years to see if you have received better offers. Your credit score may have improved enough to qualify you for a lower interest rate. With a lower interest rate, you will be able to pay off your loan faster or save money throughout paying off your loan. You could increase your cash flow: If you currently owe less than what your vehicle is worth, you may be able to access more cash by refinancing. For instance, let’s say you have owned your vehicle for three years. Your vehicle is currently worth $8,000, and you still owe $5,000 on your auto loan. You need money for a small home improvement project. One option would be to refinance your vehicle for $6,500. You will still owe less than what the vehicle is worth and have $1,500 of new money available to spend after the new loan pays off your previous $5,000 balance. You could lower your payments by extending the loan: Sometimes, an expensive occurrence such as having a baby, unexpected medical expenses, or a natural disaster can put you in a situation where you have to reduce your monthly expenses. Sometimes, refinancing can allow you to extend the duration of your loan, thereby lowering your monthly payments. For instance, if you owe two more years on your current loan, it may be possible to refinance and extend the term to four years. Adding two years onto your loan should substantially lower your monthly payments, depending on the interest rate you get. You will be paying for two years more, but you will free up some cash on a monthly basis, helping you get through a rough patch. Keep in mind, though, that this will also mean that the total amount you will pay over the lifetime of the loan will be higher (which we discuss below). You could change lenders: Changing lenders can be a pro or a con, depending on the relationship you have with your lender. If your lender is tough to contact or is not getting you your payment information, changing lenders could be a pro. If you like your lender, you can try to refinance with them, but you may need to look elsewhere to get the best rate. You will pay more in interest over the length of the loan: Sometimes you can refinance with a lower interest rate, but because the loan is extended, you will actually pay more over the length of the loan. Use a loan calculator to make sure you know whether or not you are saving money overall. Getting the lower monthly rate might be what you are looking for, but if you really want to pay less overall, it is important to do the math. For example, if you have a $5,000 loan with a 10% interest rate paid throughout two years, you will pay $5,537 in total. However, that same loan extended throughout five years will end up costing you $6,374 -- that’s $837 that could have been spent on something else, so make sure you only extend your loan if you need to do so! 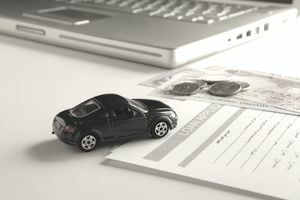 You could pay a higher interest rate: Getting cash fast is sometimes the only reason for refinancing a car loan. Beware of higher interest rates though, because most lenders charge higher interest rates on older vehicles. If you go to refinance your aging car, you might be surprised at the interest rate available to you. It is often a lower rate than a credit card though because your vehicle is being used as collateral. If you need to save money immediately, whether to free up cash for an emergency expense or because of a sudden drop in income, you should definitely consider refinancing your car loan. Your monthly payments will likely be much lower if you choose a new loan with a longer term. You should also consider refinancing your car loan if you have improved your credit score since you first took out a car loan. Lowering your interest rate, which is definitely a possibility with better credit, can save you thousands in the long run. Consider all of your options before committing to refinancing your car. Check around to see what interest rates are available. Keep the length of the loan as short as your budget will allow. Getting the shortest loan term combined with the lowest interest rate will ensure you are getting the best car loan possible.